Don’t turn being a Big Winner into being a loser. Winning the lottery is a dream come true. But if not done with patience and planning, it can become your worst nightmare. In Massachusetts, winners of major lottery prizes are required to have their pictures taken in order to promote the Massachusetts State Lottery. 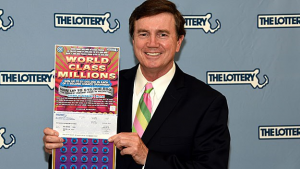 Pictures of winners appear on the Massachusetts State Lottery website for all the world to see. If you win the Lottery, having your identity exposed to the public can wreak havoc in your life. Relatives, neighbors, friends and friends you never knew you had will suddenly descend upon you seeking favors. Most recently, the winner of the biggest single Power Ball prize in history made the unfortunate choice of heading directly to Lottery Headquarters in Braintree and revealing herself to the world. She still needs police protection. Massachusetts allows lottery winners to claim their winnings in the name of a trust. Because the trustee of a trust is the legal title holder to property in the trust, for the benefit of the true winner, lottery winners can hire a trustee to claim the prize for them, thus keeping their identity a secret. The trustee is the one whose picture appears on the lottery website. We have represented dozens of lottery winners, some of whom are so bent on privacy that they don’t even tell their children that they’ve won. We have also represented one person who won the lottery three times, twice within six months! And still, no one knows that that person is a multi-millionaire! If you are lucky enough to win the lottery, don’t squander your good fortune in exchange for a life-altering fifteen minutes of fame.